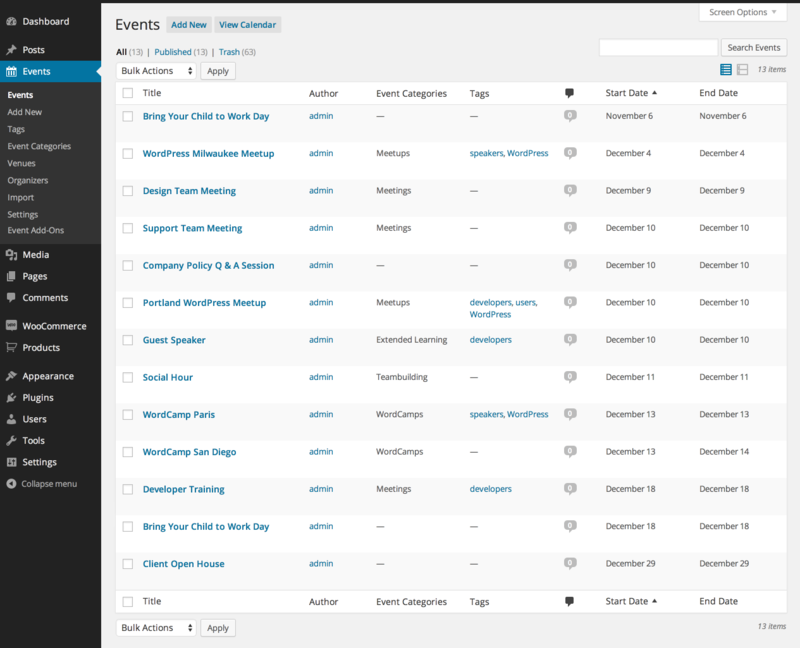 Create and Manage Events with Ease. Powerful. Easy To Use. Supported. Get professional-level quality and features backed by a team you can trust. 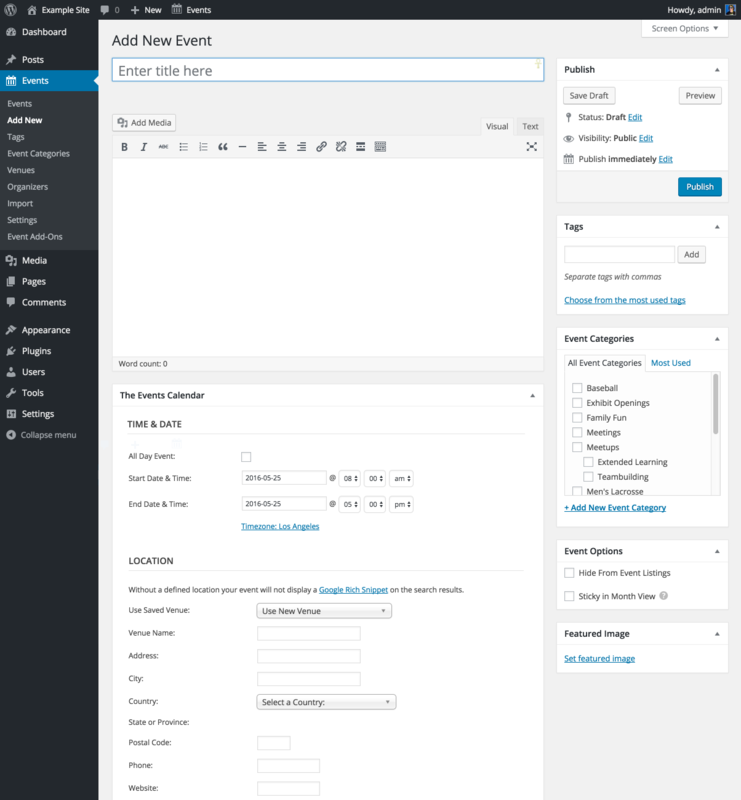 The Events Calendar is a free WordPress plugin available on the WordPress.org plugin repository. Download a copy or check out the demo. Looking to get more out of your calendar? Advanced features including recurring events, ticket sales, publicly submitted events, new views, Facebook event integration and more can be added through available add-ons. 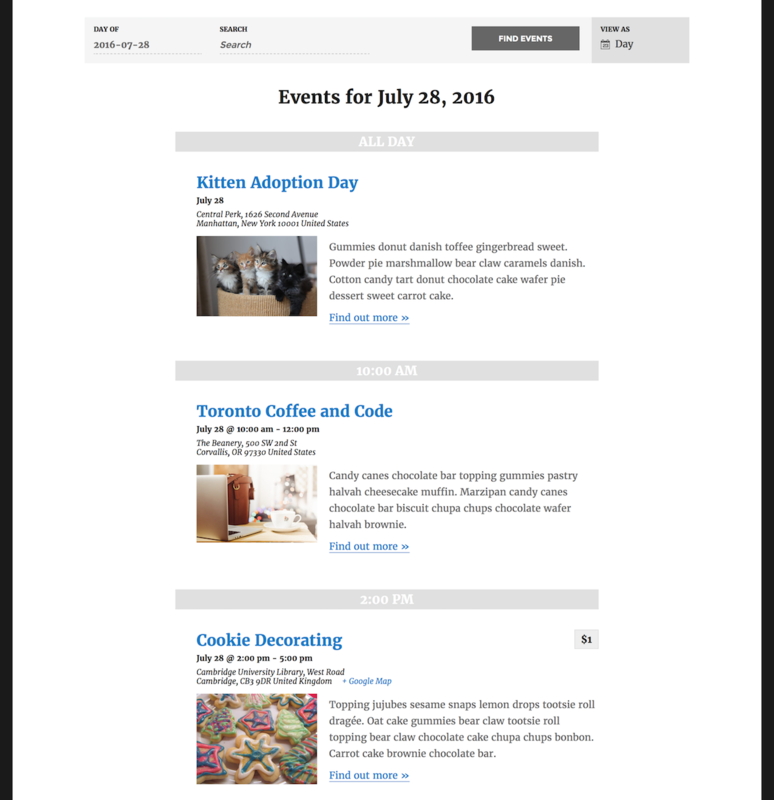 The Events Calendar is crafted the WordPress way. 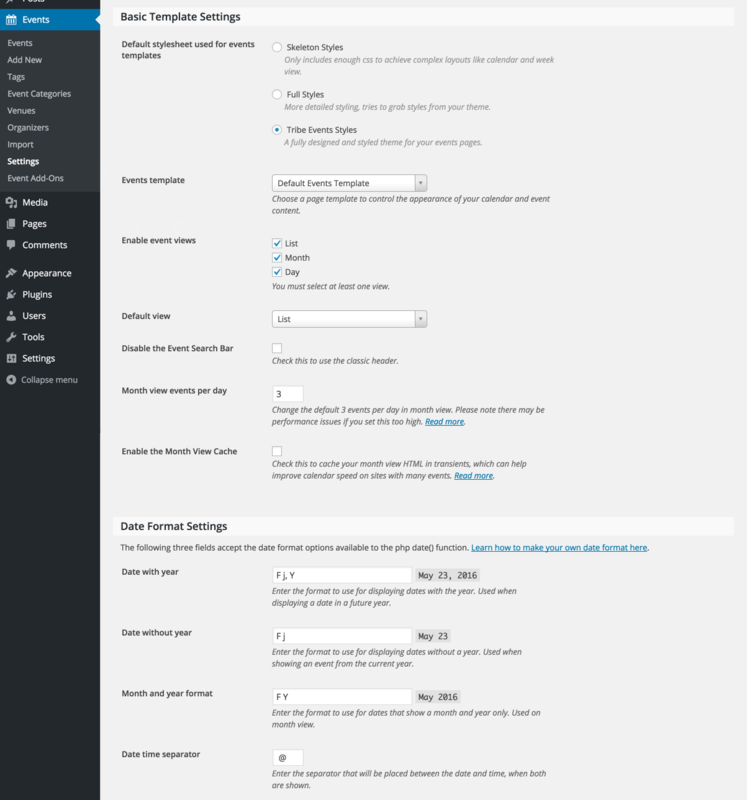 The Events Calendar has been audited by many of the industry’s WordPress experts, including core developer Mark Jaquith for security and plugin review team member Pippin Williamson for best practices and plugin compatibility. We’ve poured hundreds of hours into QA by a dedicated support team, monthly usability tests to guarantee that it’s easy to use, and numerous user interviews to make sure you get what you want. We care about quality and crafting products that thrive in the wild. The team at Modern Tribe stands by our work and offers light support every Wednesday to the community via the WordPress.org support forums. Feel free to ask a question or report a potential bug. Looking for faster troubleshooting assistance or need a deeper level of support? Upgrade to Events Calendar PRO for access to our premium help desk—and all of our advanced PRO features! Our Knowledgebase and our Pre-Sales Help Desk have answers to many common questions. The Events Calendar has been downloaded over 13,000,000 times and counting. We’re very careful about what features make it into the plugin. The result is a solid, stable, feature-rich calendar solution that is also easy to use and implement. Show off your events in a calendar grid, list, or day by day. You can choose which view is default and which are available for your users to choose from. 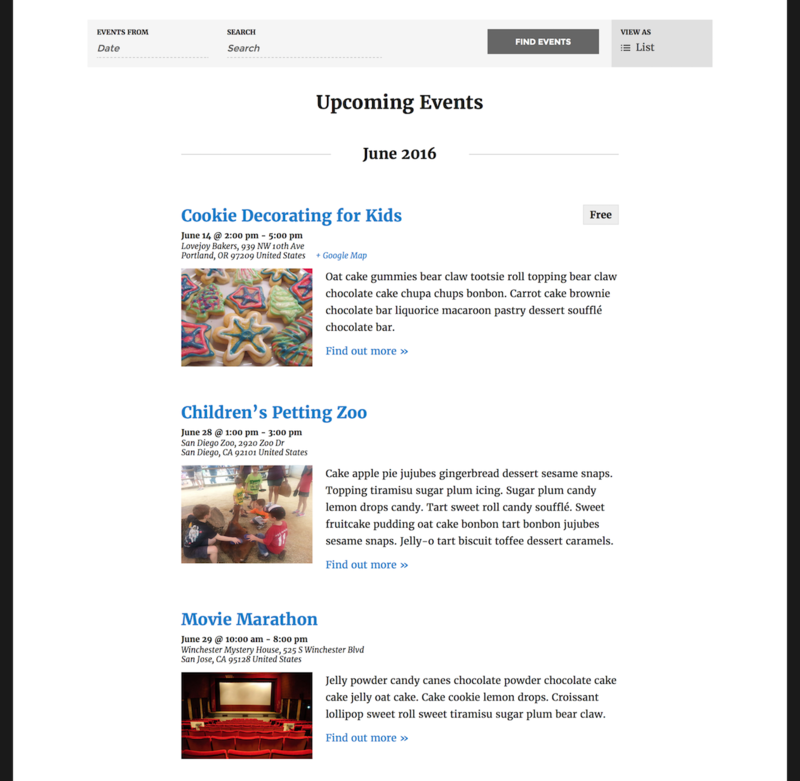 Views are searchable, themeable, & show event Featured Images. Visitors can find and view events from their desktop, laptop, tablet, or smartphone. 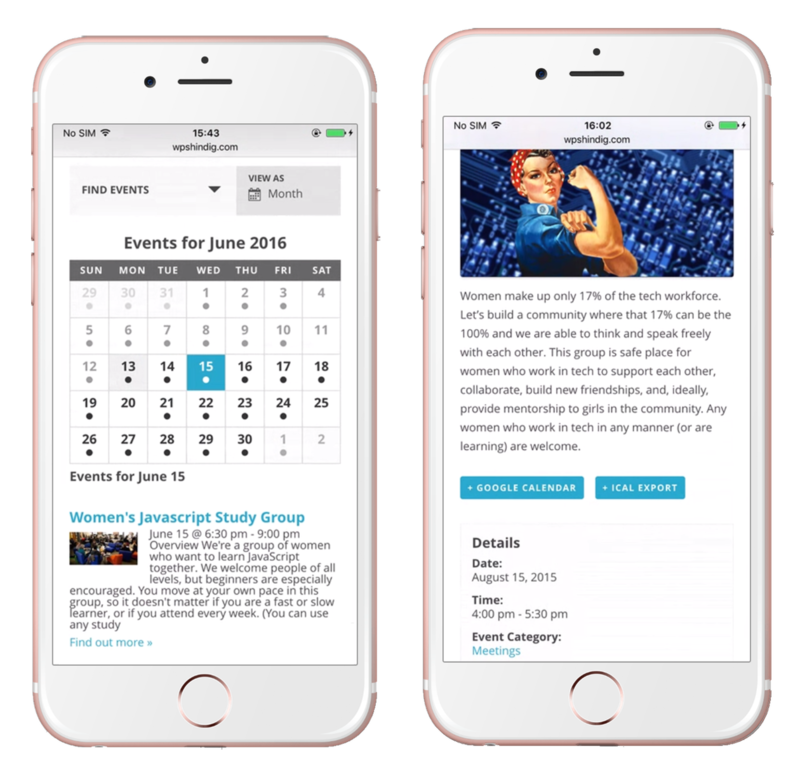 Each calendar view is fully responsive and mobile-ready so your users can find events from anywhere. Frequently have events at the same venue? No problem! Venue and organizer information is saved so it can be easily used for new events. 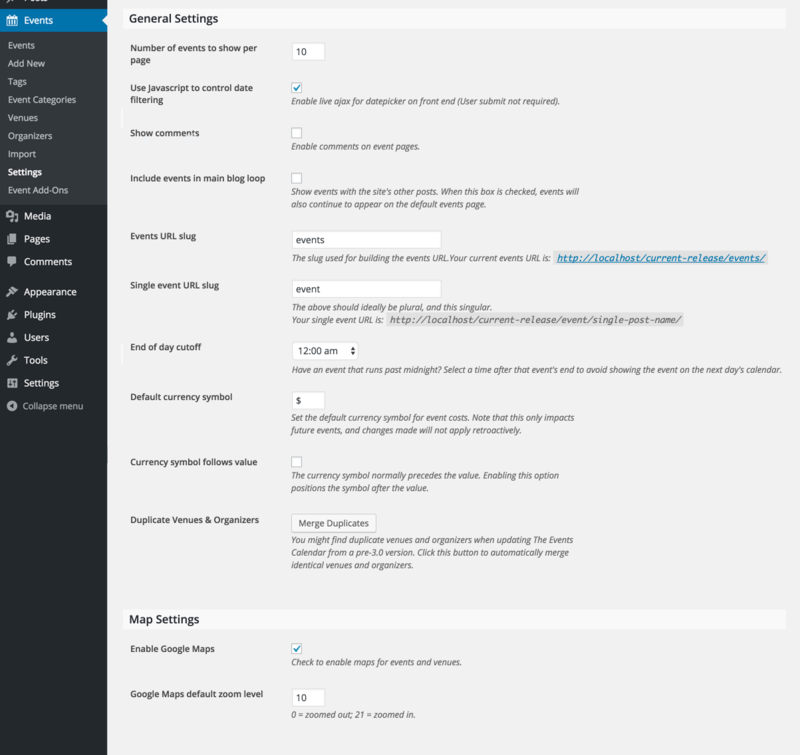 Of course, you can always edit the details from the admin menu. 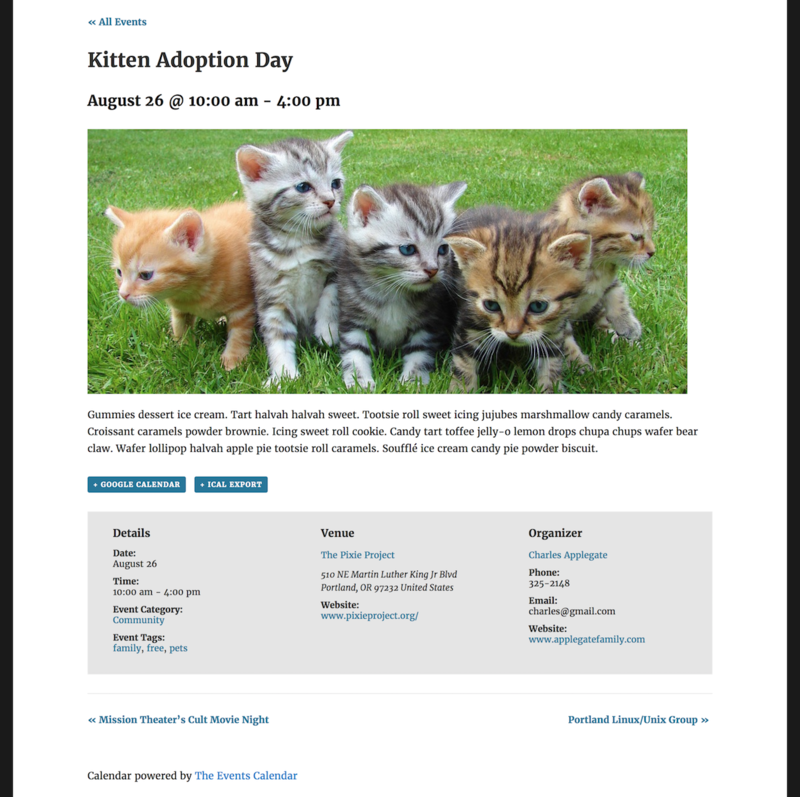 Change your calendar’s style by selecting one of our Stylesheet options. Different options allow more or less of your theme’s style to be reflected in the calendar. Or use our Skeleton option to strip out styling and apply your own. 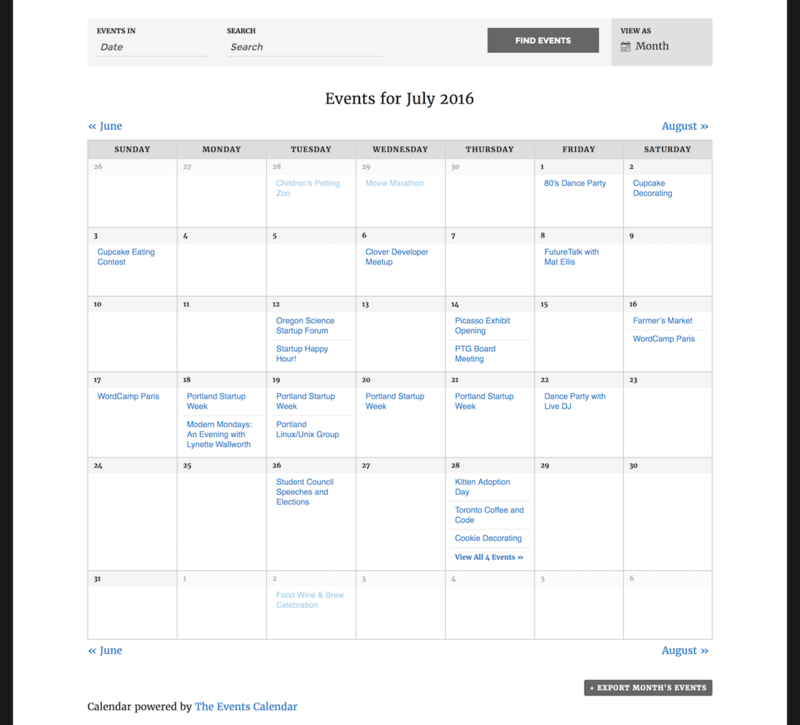 Import events, venues, and organizers into your calendar with our CSV Importer. Users can export individual events or a full view’s worth for use in iCal or Google Calendar. Powerful features. Easy to use. Beautiful design. Impeccable support. That's what you get with Events Calendar PRO. Sell Tickets Using Your Favorite E-commerce Solution. Modern Tribe is a full service digital agency with expertise in enterprise level WordPress design and development, product design, and user experience.